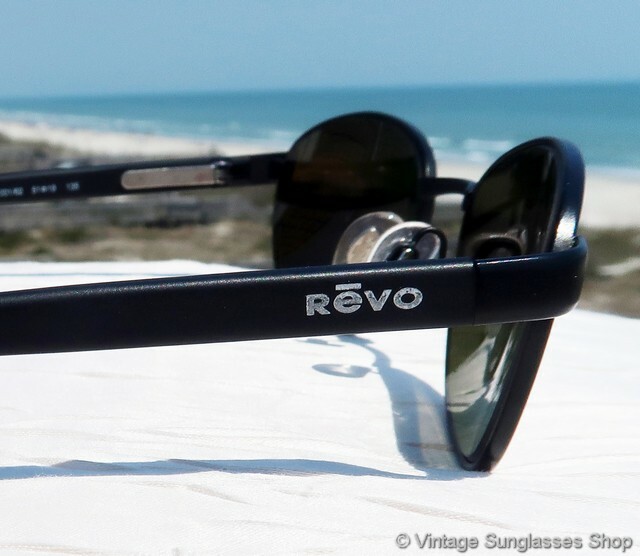 Vintage Revo 3009 001 stealth mirror sunglasses are a sleek and industrial design, a great combination of matte black Italian Revo frame and the highly reflective stealth mirrored lenses. 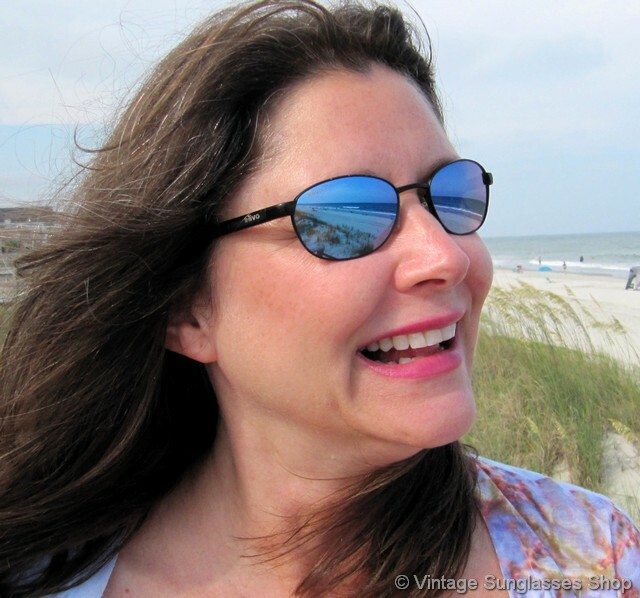 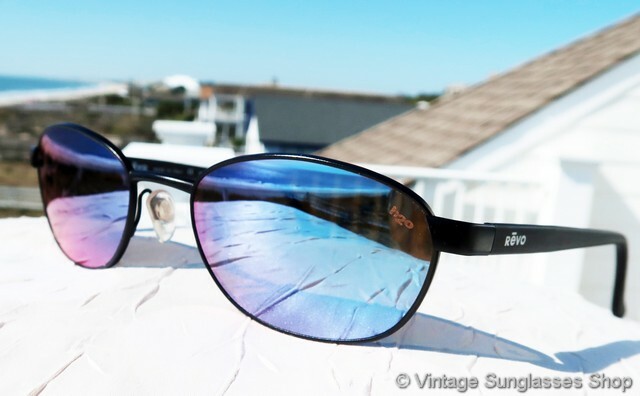 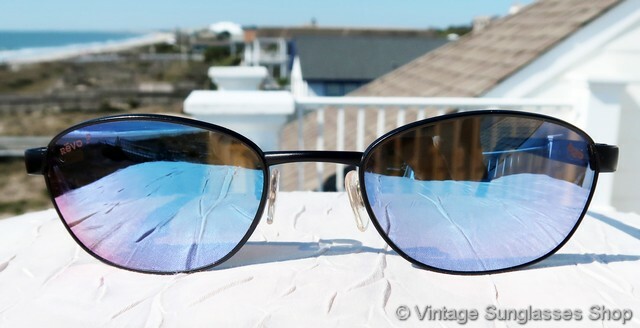 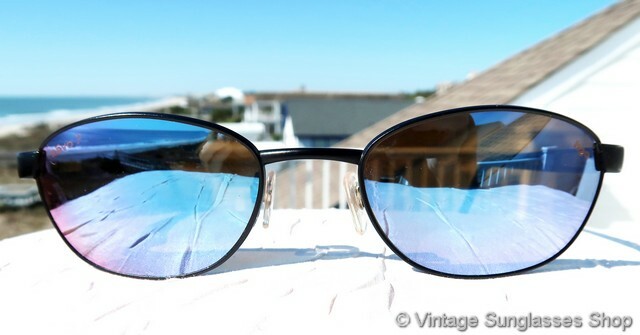 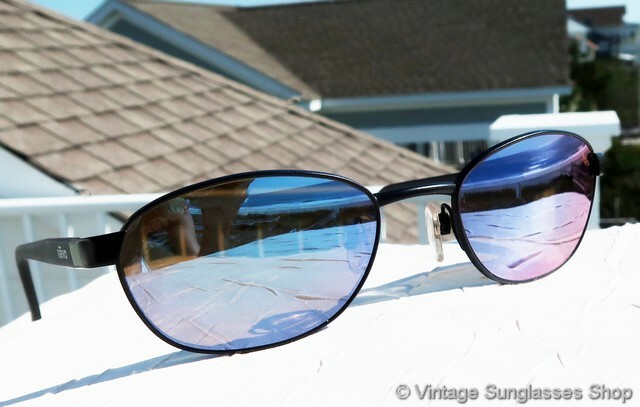 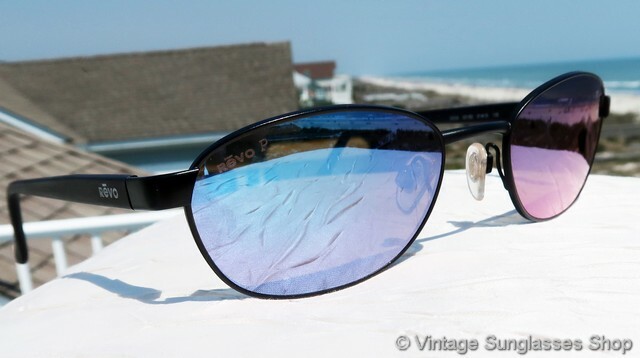 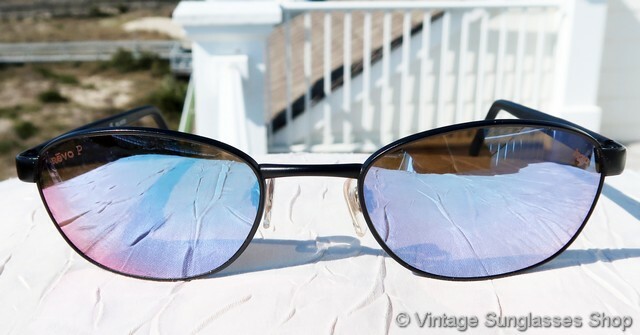 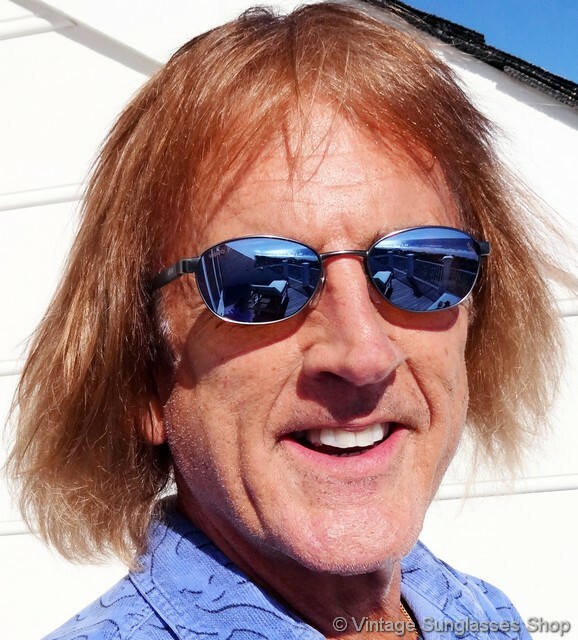 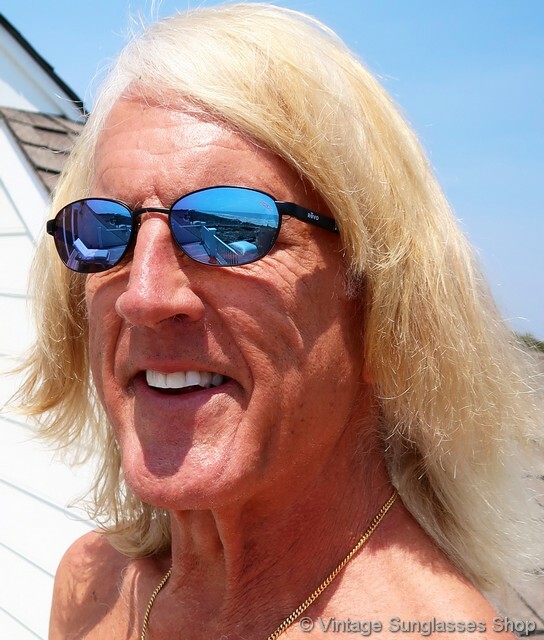 This is one of the most popular vintage Revo sunglasses designs, with matte black ear stems each embossed with the Revo logo near the hinges and Revo P stealth mirror H20 lenses that are predominantly light blue but pick up plenty of hues of red and purple in the highly reflective mirrored finish. 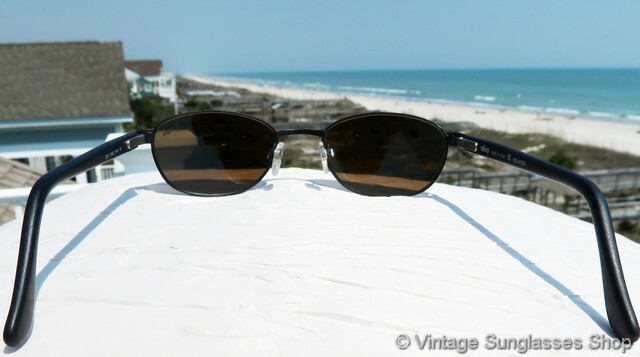 The Italian frame measures approximately 5.125" temple to temple, and each stealth mirrored lens measures approximately 1.875" x 1.375" at the widest points. 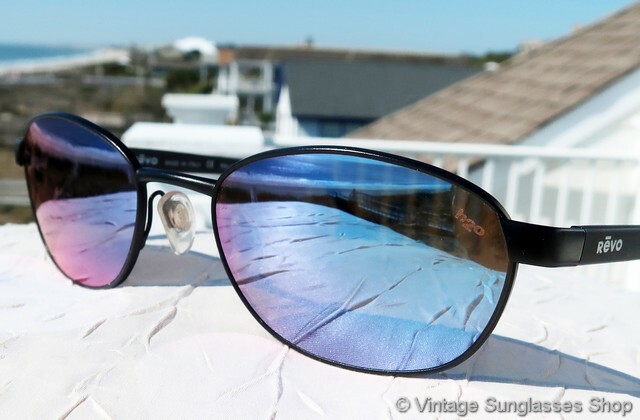 The right lens is marked Revo P while the left lens is marked H20, all laser etched in the mirrored mineral glass lenses. 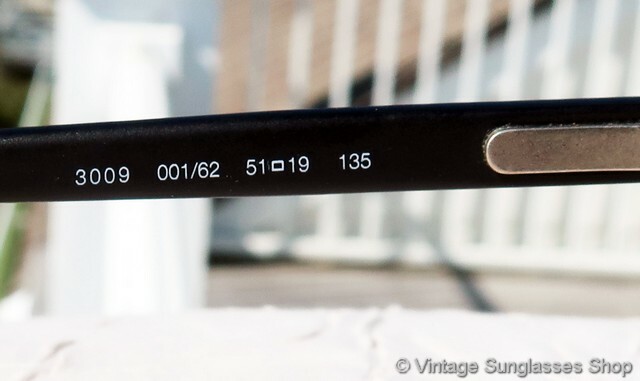 The inside of one ear stem is marked Revo Made in Italy CE Polarized while the inside of the other stem is marked 3009 001/62 51  19 135.